Did A 19th Century Brothel Tunnel Cause A Sinkhole In Dublin? 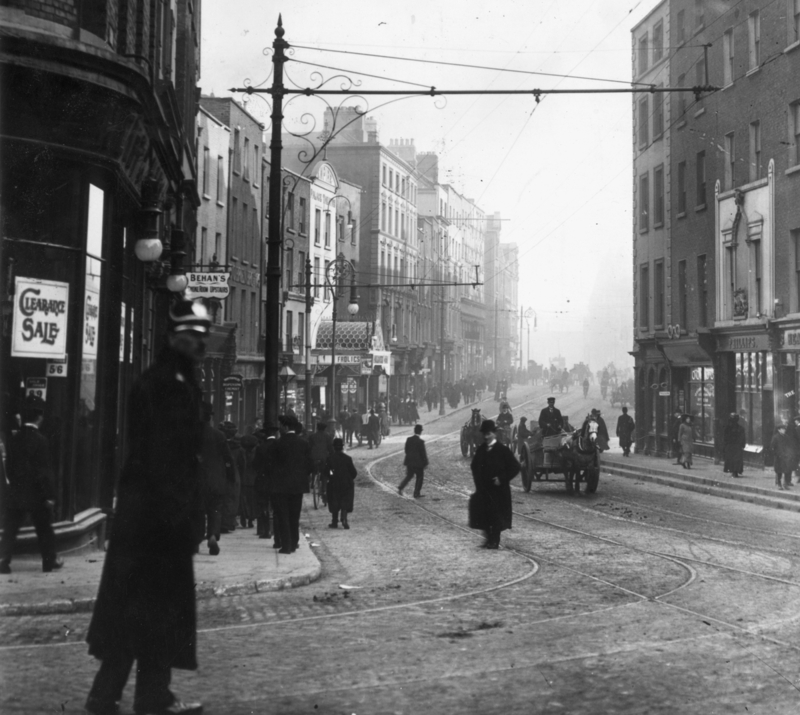 : The Two-Way An Irish historian says, "There are tunnels under here going down Dame Street, which are linked to the Bank of Ireland up the block, which was formerly the House of Commons and the House of Lords." A sinkhole that opened on Dame Street in Dublin, Ireland, this week is suspected of being caused by an old tunnel lawmakers used to visit brothels. The street is seen here in 1911. A sinkhole opened up on Dame Street in Dublin this week, and an Irish historian says a storied tunnel that allowed politicians to visit brothels in the 19th century could be to blame. The hole was measured at 6 feet deep and 2 feet wide. "My contention is that there are tunnels under here going down Dame Street, which are linked to the Bank of Ireland up the block, which was formerly the House of Commons and the House of Lords," Dublin historian Gerry Cooley says, in a video posted about the sinkhole. Cooley says that politicians wanted to be able to visit brothels "out of full view of their subjects and their peasant electorate." And there might be another reason lawmakers wanted to keep their activity secret: "The King of England closed down the House of Commons and House of Lords in Ireland during the time when politicians were spending too much time in the brothels," Cooley told Ireland's Herald newspaper. The large hole, which snarled traffic along the busy street, has been resealed, meaning that any potential investigation of its source will have to wait. City officials have explained that it was caused by an "old cellar," according to the Herald.